Need to get 4 million people to the office every day? Hong Kong has you covered. The Mass Transit Railway (MTR) is a rail system in the city of Hong Kong, currently managed by the Mass Transit Railway Corporation Limited (MTRL). 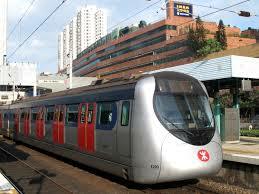 The system opened in 1979 and now operates over 135 miles of track as well as more than 152 stations in Hong Kong. The average trip costs somewhere between .50 cents and $3 USD, and the system makes back 186% of its operational costs on fares alone. Much of the system’s success can be attributed to urban density. Denser development means people live, work, and play in smaller geographic areas, meaning that more people are travelling between a fewer number of points. This is a huge plus for a fixed-route system like a railway. The MTR, however, hasn’t been a passive beneficiary of its environment. The MTR owns real estate around each station in the system and integrates rail and property planning so that the development of one supports the development of the other. Construction around each MTR station is incredibly dense, so it can put as many potential riders as close to a station as possible. Over 41% of the population in Hong Kong (2.78 million people) lives within a half-mile of a station. Additionally, the company’s real estate strategy emphasizes walkability; some residents of MTR owned properties can walk from their homes to a station entrance without ever even going outdoors. Clustering potential riders around each station–and making sure passengers have an easy time getting there–helps support high levels of ridership. While fares cover the costs of operations, it’s really property development that pays for maintenance and expansion. The rail line, in turn, increases the property values of parcels adjacent to each station. This augments the land rents which are siphoned off to cover capital costs. Ultimately, building effective mass transit is all about embedding the system within a friendly urban environment. High-density, mixed-use development is a must, but so is the ability to leverage land values as a means to finance capital investment and outlays.